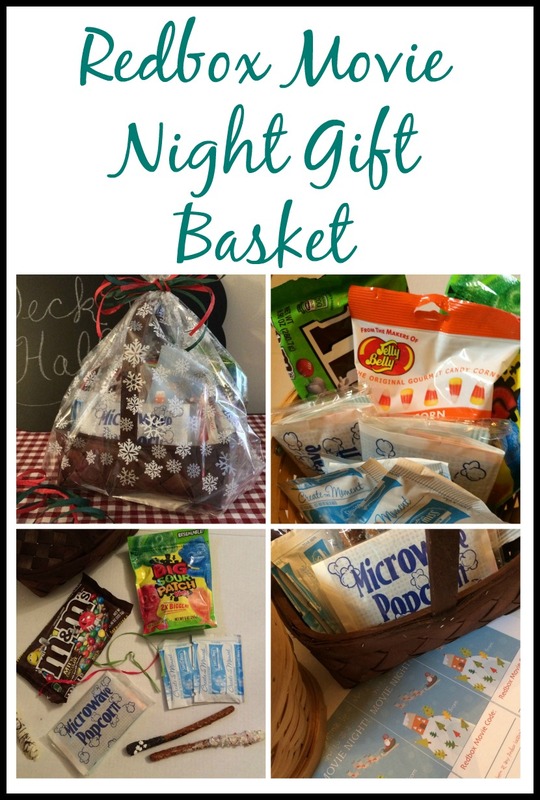 I am a fan of making gift baskets because they are easy and inexpensive to fill, because you can usually find everything at the dollar store. 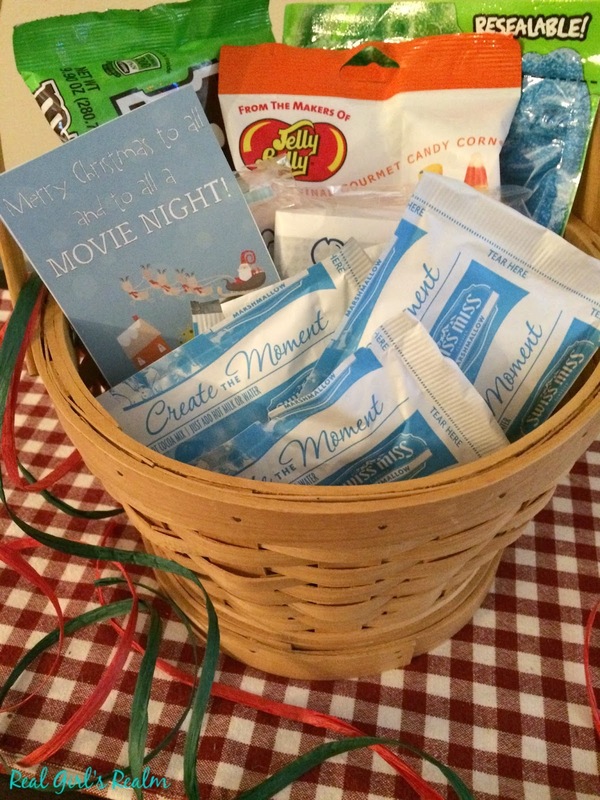 If you need a quick neighbor gift, make this easy Redbox Movie Night basket. Everyone can use a night in once in a while, especially after the busy holidays! Line the bottom of the basket with tissue paper. Arrange the larger items in the back, filling in the front with smaller items. Purchase your Redbox codes using the link above. Download a fun, free printable to write the codes on. I linked to some Christmas options above, but you can find other holiday ones as well. 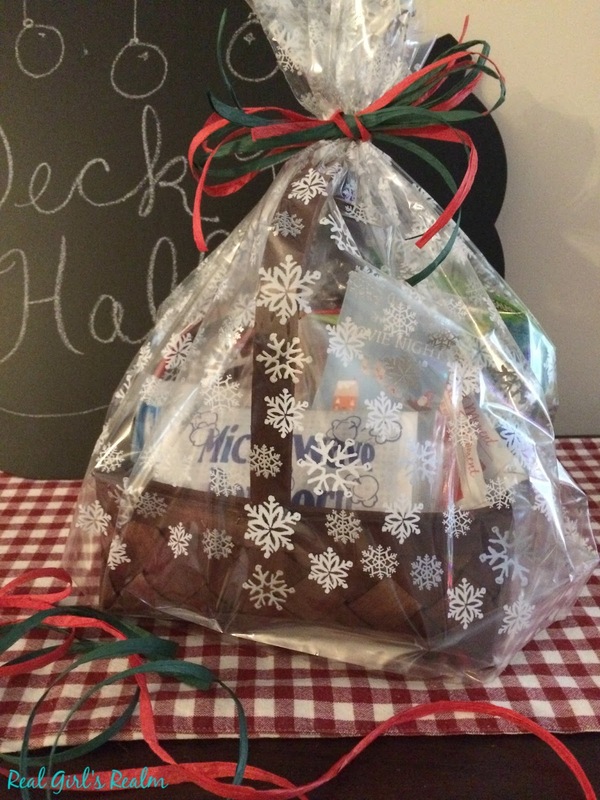 Wrap the basket in the cellophane bag and finish with a ribbon or bow! 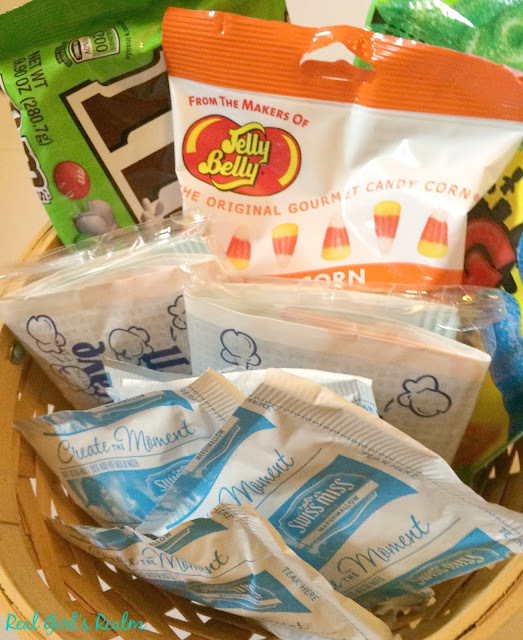 For a cheaper option, you do not even have to make an entire basket. 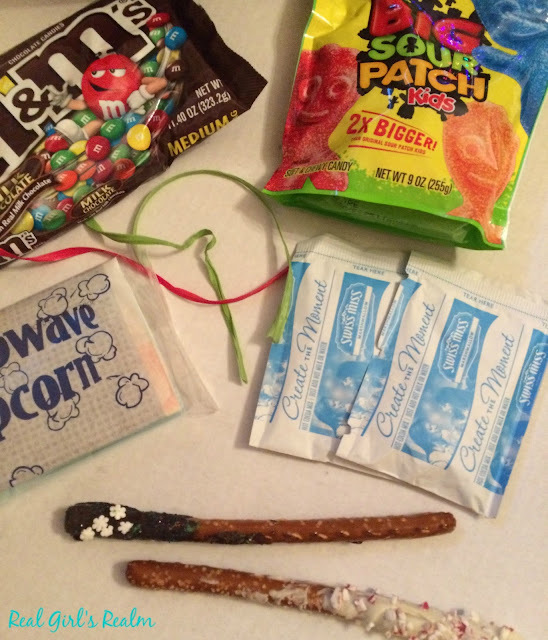 You could attach the Redbox codes to a pack of popcorn or box of candy. Who would you gift this basket to? Me too! This is one of my fave ones to put together! 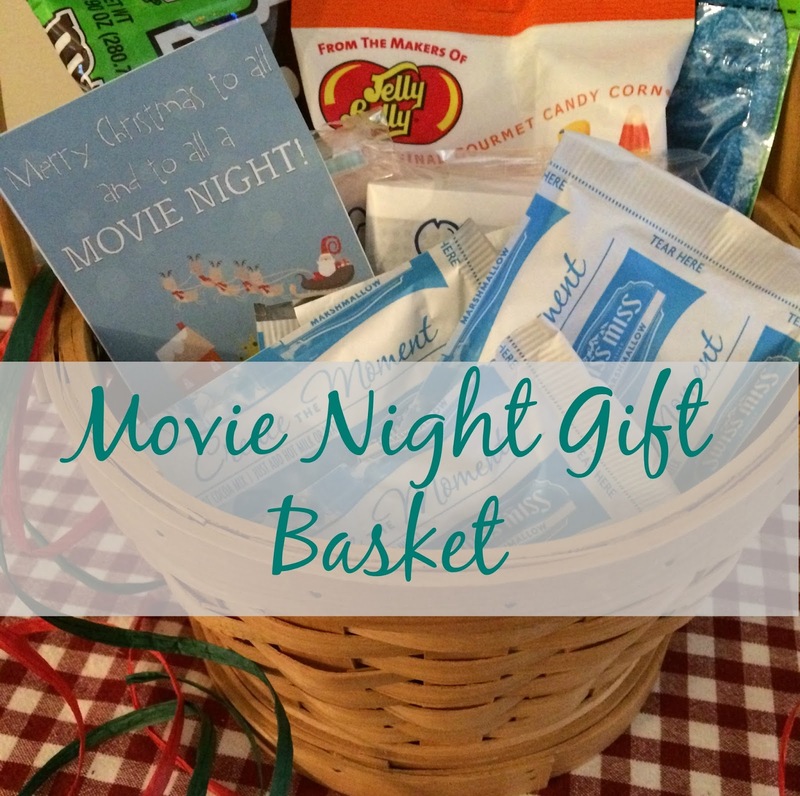 I love making up gift baskets and a movie basket is one that works so well for so many ages! 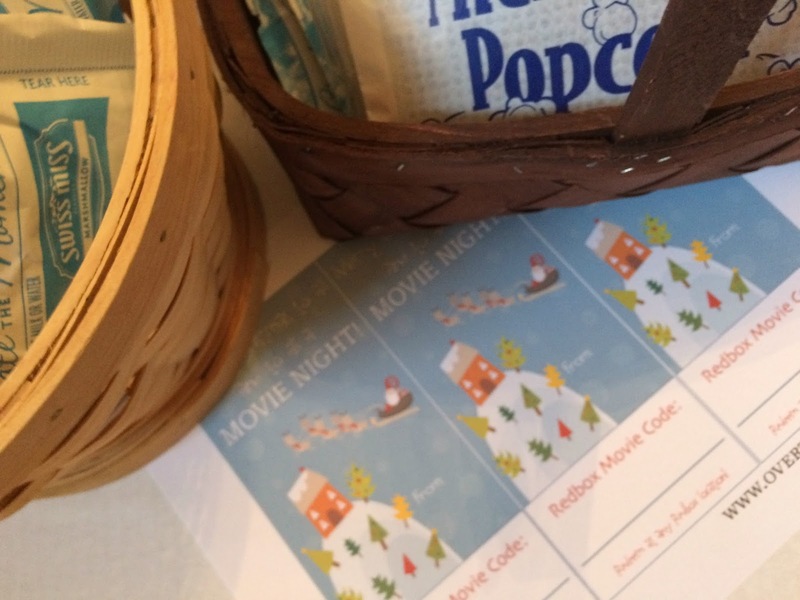 I have included an occasional movie for family members instead of the gift certificates when I know of a specific movie they'd like. Yes, that is a great idea too!